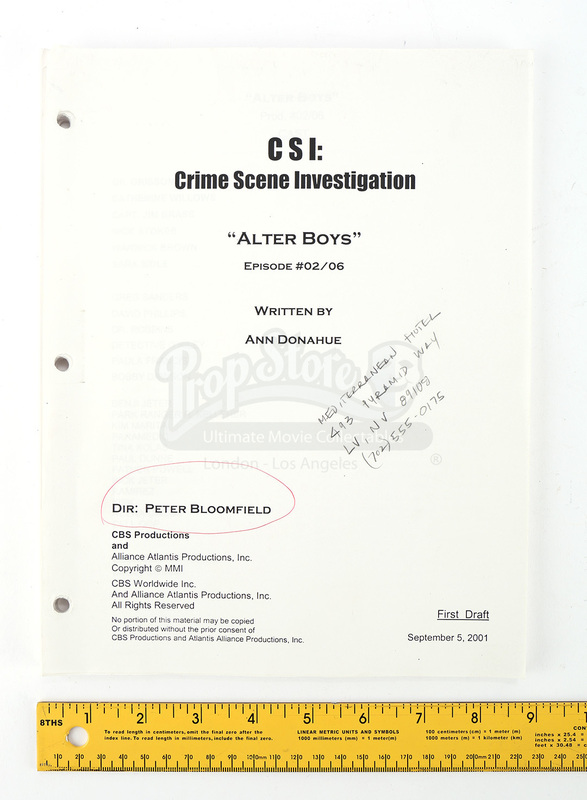 An original script from the first season of the long running crime series, CSI: Crime Scene Investigation. This script comes from the sixth episode of the second season entitled, "Alter Boys." 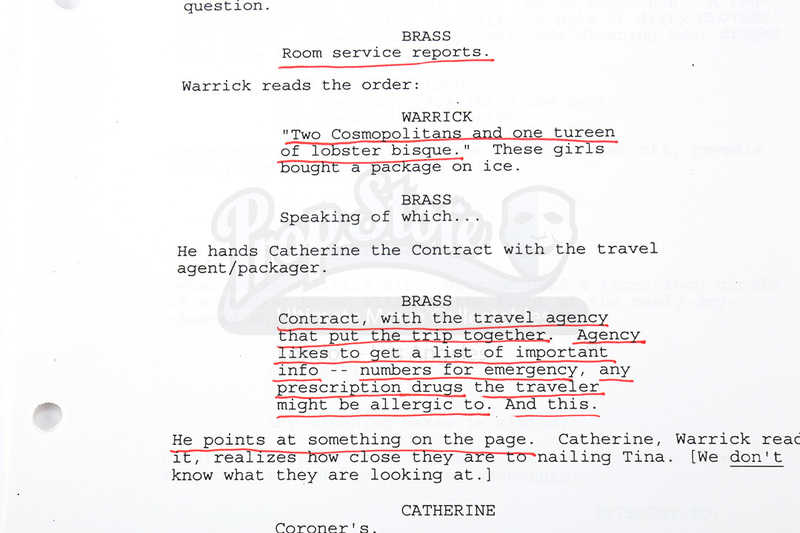 Written by Ann Donahue, this script is dated September 5, 2001 and consists of 60 pages. 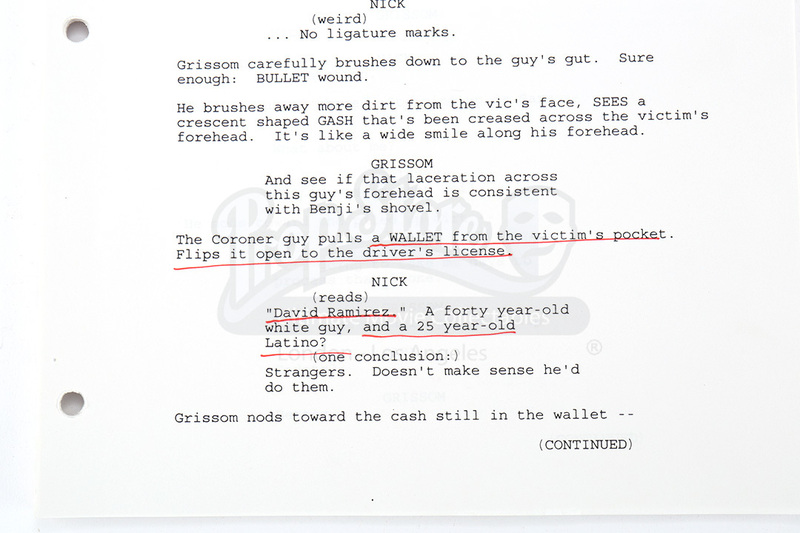 The script features handwritten annotations made in red ink and is bound by a large clip. 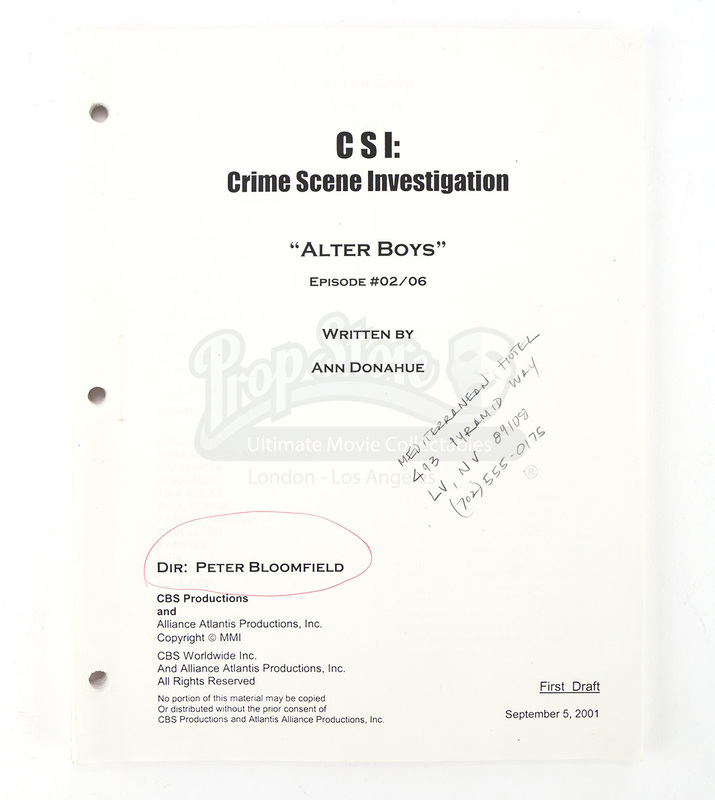 While the script features minor wear from production use and age, it remains in overall good condition.